No one likes having to do the same thing twice. TimeTap's 2-way sync with Office 365 helps to ensure that you never have to do double duty on your appointments. Just grant TimeTap permission to sync with your preferred Office 365 account and we'll take care of the rest. 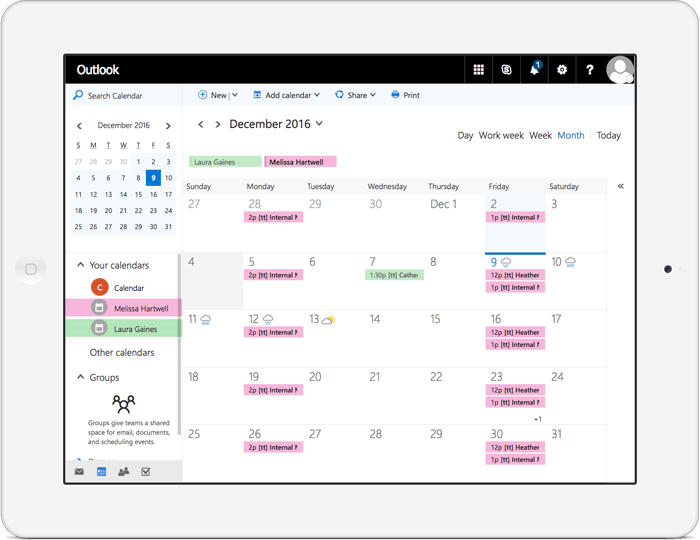 As soon as appointments get booked on your TimeTap calendar, we'll send them up to your Office 365 calendar and vice versa. No more time wasted entering appointments twice! If you have vacations and meetings set on your Office 365 calendar, TimeTap will read those and automatically keep clients from scheduling with you on those days and times. Can you say, 'Smart Scheduling'? If you have your events on Outlook on multiple calendars, you can sync those up to TimeTap too. This is great if you have a separate calendar where team meetings are organized vs. you're own personal events. Sync your scheduler to your Office 365 Calendar today!